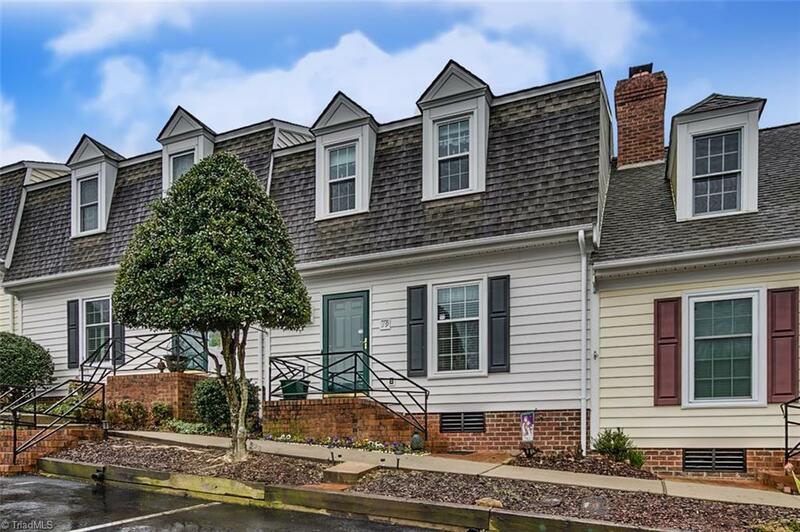 Williamscreek Townhome! Maintenance free living in this great open floor plan features living room with fireplace & gas logs opens to formal dining room w/columns, laminate flooring. Eat in kitchen w/all appliances remaining including refrigerator & corner cabinet. Newer heat pump, replacement windows in 2017, laundry area has heat & shelving. Master bedroom has two closets & adjoining bath. 2nd BR has walk-in closet & adjoining bath. Nice deck. Great location minutes from 73/74.